Sony has revealed that its PlayStation arm has brought profits to the company, with news that sales of the PS3 are on the rise. Last year, Sony's Networked Products & Services division, which houses the PS3 and PC devices, made a pretty poor loss of £624 million. This year, however, the division has made all-singing-and-dancing profits of £267 million. While this doesn't take into account the damage the PSN hack will cause the company – this will reportedly cost Sony £106 million – it does prove that the popularity of the PS3 has never been greater, even if the rest of Sony has hit a bit of a slump. As this was a profits report, Sony's statement regarding the PS3 is drier than one of James Bond's Martinis, but it did explain that at least this part of the company is doing well. "A category that favourably impacted the change in segment operating results (excluding restructuring charges) was the game business, reflecting significant cost reductions of PlayStation 3 hardware and higher unit sales of PS3 software," the statement yawned. 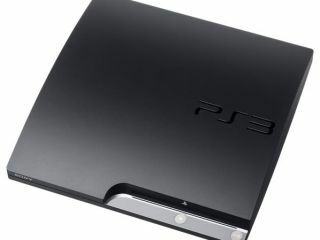 Sales of the PS3 rose 0.4 per cent which brought £11.8 billion into Sony's coffers. The reasoning for this boost was down to better games coming out for the console and the arrival of Move. It wasn't such good news for the PSP and the PS2. Both of these consoles suffered sales declines. In all, 6.4 million PS2s were sold (compared to 7.3 million the previous year) and 14.3 million PSPs (the year before this number was 13 million). Sony is looking optimistically to the future when it comes to the PS3 and predicting it will sell 15 million PS3s this year – which equates to a whole lot of new credit card details.